If you are new to the business buying process, there are several steps that can seem very uncomfortable – like having to give potential sellers, business brokers and your possible new landlord access to proof of your finances (so those involved in the transaction can see proof that you can, in fact, afford the business you are about to buy). While initially unpleasant these steps are critically important for a successful business purchase. One of the steps for new buyers that can seem unpleasant is the signing of non-disclosure agreements, or NDAs – but it is also one of the most important. What is the NDA and why do you need to sign it? 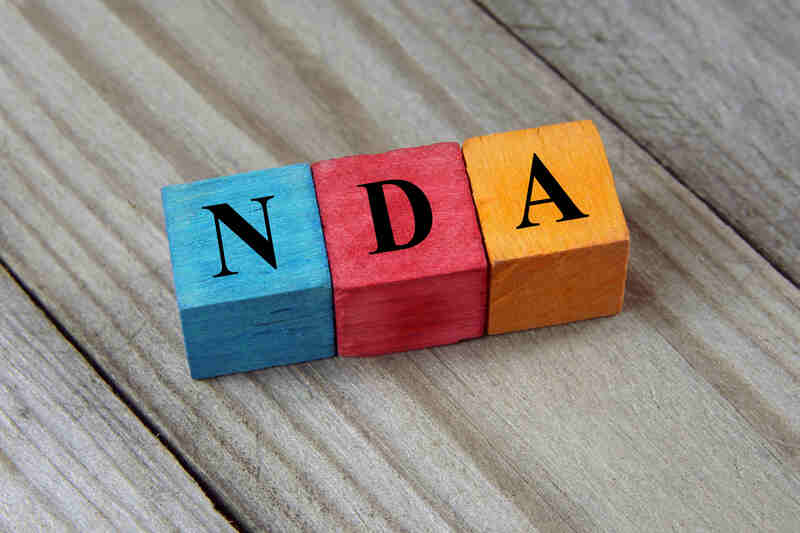 The NDA is an agreement that says you will not disclose any of the information you are about to be given on a particular business – including the fact that it is this particular business that is for sale. Each business you request access to will require it’s own NDA, so the longer you shop for a business to buy, the more NDAs you will have to sign. Confidentiality in business sales is of the utmost importance, so for the protection of the business and the protection of the seller the NDA is a must before any information is given to any potential buyer. It provides the seller of the business with legal protections – meaning legal consequences for a careless buyer who discloses anything about the business to someone they shouldn’t, even telling someone inappropriate that the business is for sale. Without this confidentiality people like the staff, the customers and the vendors might think the business is for sale because it is on the brink of failure (almost never true when a business is for sale) and will leave the business for better prospects somewhere else. The importance of non-disclosure means if you as a buyer are uncomfortable with signing the NDA, you aren’t going to be able to buy a business. The NDA can’t be changed to suit your tastes, it can’t be amended to take the legal risks for you away – it is what it is. Sign it or don’t, but no seller in their right mind will allow a buyer anywhere near their business or their books without this all-important legal protection. If it is the legal repercussions you are concerned about – you shouldn’t be. All you have to do is keep the information you are given to yourself. That’s it. If you tell your neighbor’s wife in a casual conversation at the mailbox that the business is for sale or you talk to your barber about the last three years of tax returns you’ve been shown – those potentially devastating disclosures will land you in hot water. If you talk to your broker, your attorney or your CPA about this business you are thinking about buying – there will never be a need to enforce the legal repercussions of the NDA. NDAs are good for you as a buyer because they keep all potential businesses on the market safe from the disasters an inappropriate disclosure can cause. You don’t want you brand new business adventure to have been damaged by another careless buyer. You also want access to all of the proprietary and financial documentation possible before you buy so you can sure about your purchase before you write a big check. The NDA provides for both. Don’t be nervous about signing the NDA, as long as you do what’s asked of you by keeping the information to yourself – it will get you one step closer to owning your own business. Do you have questions about the legal repercussions of the NDA? Would you like to know more about the process of buying a business? Ask us! Please feel free to leave any comments or questions here and we will be happy to help. Buying a business involves a lot of paperwork and red tape – what can sometimes seem like mountains of the stuff. When mired in this sea of required documentation and applications, there can be times when you are tempted to skip a few steps and just bet on not getting caught. This is a HUGE mistake, for a number of reasons. Reason one? It could be considered fraud. If you are filling out those mountains of applications for financing, fudging the paperwork could ultimately land you in very hot water. Lying about anything, even something small, will almost assuredly come up when the lending institution (be it a bank or the Small Business Administration) goes over everything with a fine tooth comb before they write you a check. It would be very bad for their own business if they were in the habit of overlooking items that would otherwise prevent a loan from happening. Cover yourself from fraud charges or denial of funding down the line and be absolutely honest. Reason two? It could mean your licenses get revoked. If you are buying a business that requires some type of licencing, like most do, your applications for those licenses will seem never-ending. Skipping necessary steps, fudging a bit in your answers, procrastinating and missing deadlines or just not applying for the license at all will likely mean you have to close the business doors when you get caught. 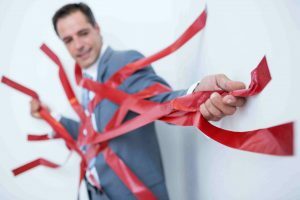 Licencing agencies get paid to ensure everyone is following the rules, and they have the right to revoke your licenses and close your business if they catch you trying to bend or break those rules. Do yourself and your investment a favor and don’t skimp on your licencing requirements. Reason three? Fines, fines, fines. Even if you manage to escape fraud charges or license revocations, if you get caught or miss an important deadline you will absolutely be slapped with what can quickly add up to debilitating fines. Again, the bankers and agencies you are dealing with have punishments like fines in place to ensure everyone follows the rules. Don’t spend exorbitant amounts of money unnecessarily. Do the paperwork right the first time. We aren’t trying to scare you, we are trying to give you an honest look at what can happen when you think you can bend or break the rules. The paperwork might seem never-ending, but it’s very manageable if you stay on top of it – and every operating business out there got it done. There is also help available if you feel overwhelmed. Ask your business broker for help, or you can hire someone who specializes in licenses for businesses. The message here is do it right so you won’t get caught. Do you have questions about the licensing requirements for the types of businesses you are interested in? Would you like to know more about the services available to help you? Ask us! Please leave questions or comments here and we would be happy to help. As a business buyer, the number that will be at the center of your attention throughout the business transaction is the purchase price. How much are you willing to pay for the business, and how does the seller arrive at their asking price? 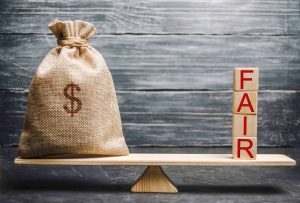 These are important considerations, and as you progress through the due diligence phase, you will be deciding if you think the price is fair. What parts of a business will you need to consider when determining the price you are wiling to pay? In order to determine the cash flow of the business you will need to examine financial statements, sales records, and tax returns for the last few years. 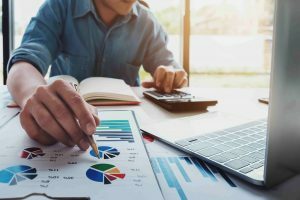 This is a great time to enlist the help of your business broker and possibly an accountant who is familiar with analyzing business transactions. Both will have the experience necessary to determine what the records really show in terms of how the business has been doing. It is impossible to gauge the health of a business by simply looking at the bottom line of tax returns – more analysis will be necessary. You can also have your business broker determine the operating ratios of the business, as these ratios can be a good indicator to compare against industry standards. Examine any and all contracts and agreements the business currently has. These include purchase agreements, leases, contractor agreements, and any other legal instruments. What is the inventory? The inventory includes any materials and products that are used for resale or for client services. It is very important that you personally and a trusted and qualified representative (like your business broker) are present for and participate in any inventory examination. You will need to know the inventory status in order to give it a proper evaluation. You should also request the inventory counts from the end of the previous fiscal year. You may need to have the inventory appraised if you are unable to properly appraise it yourself. The inventory counts as a hard asset, so you will need to know what dollar value to assign to it. An important point to keep in mind is the value of the inventory is something that can be negotiated. If the inventory is incompatible with your future target market, or in poor condition – these are points to be brought up during negotiations. These parts of the business are important in terms of value because they are considered hard assets, so you will need to know what furnishings, equipment (like kitchen appliances in a restaurant), and vehicles are part of the deal. For any equipment you will need the name and model number for each piece, the present condition, the value when purchased, the current value, and whether the equipment was leased or bought. You will also need to consider what kinds of changes and improvements to the building will be needed in order to suit your future business plan. Find out what the seller invested in terms of maintenance and leasehold improvements so you will know what it will take to keep the facility in good condition. The price of a business may change based on the economic climate or on the motivation of the seller, but in all reality the price of a business is what a buyer is willing to pay for it. 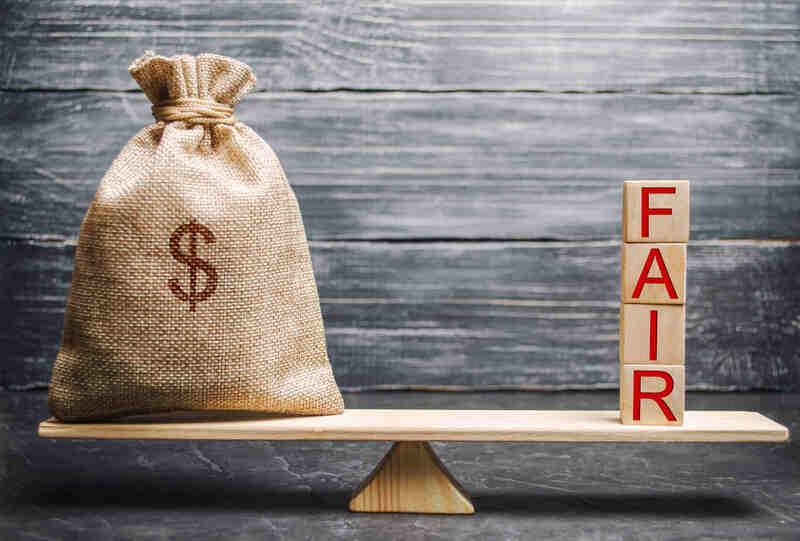 Take a good look at the inventory and other hard assets, along with the cash flow and records of the business before you head to the negotiation table with a number you consider fair. Do you have more questions about how you as a buyer can determine if a price is fair? Would you like to know more about the importance of cash flow? Ask us! Please feel free to leave any questions or comments and we would be happy to help. The rapid approach of another holiday season and the end of the year can cause a budding entrepreneur to rethink their current life and consider other options. New buyers come to the market curious about what life might be like as the owner of a business, and many who are visiting from northern climates experience the beautiful winter weather of Florida and seriously consider a move south. 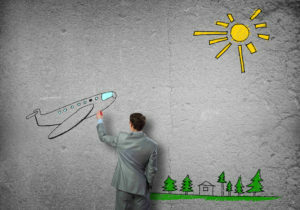 There are amazing business ownership opportunities in the Sunshine State, and we would love to help you find the one that is right for you – but there is one very important element of the business buying process that buyers should know long before they set foot on a plane. You absolutely, positively can’t call about a business one day and see it the next. This one is frustrating for both business brokers and buyers alike. If you call us today and tell us you are only in town for another 24 hours and you want to see one of our businesses – the answer is no. We would love to accommodate you, but it just isn’t possible, especially during this time of year. In order to see a business, we would have to know that the business is right for you and that it is a business you could successfully afford. There is no sense in wasting your time looking at businesses you couldn’t or wouldn’t want to buy. Then you would have to sign the appropriate non-disclosure agreements. Then a showing would need to be coordinated between your schedule, the schedule of your broker, the schedule of the seller’s broker, the schedules of the sellers themselves and at a time when the business isn’t operating or when the employees will not be around (for confidentiality reasons). This complicated mix of conversations, paperwork and meshing of schedules is going to be extremely tough during the holiday months in particular because many of the necessary parties are traveling or hosting family and won’t be available. It is possible, however, for all of the necessary background, non-disclosure agreements and schedule juggling to be done – with enough notice. Just realize that 24 hours or even a few days aren’t going to be enough. If you are considering taking a trip south and looking at businesses, make contact with a broker and work on setting up these visits before you even buy your plane tickets. We say this because we want your business search to be successful and we want you to find and see businesses that are right for you. The right business for you is going to depend on things we can’t know about you until we’ve had a chance to talk to you about your goals for business ownership and the amount of money you actually have available to buy a business. The right business for you will also be found by looking at many listings, reviewing financial statements and having conference calls with multiple sellers – all long before you set foot in an actual, physical business. We also want you to be able to make the most out of your time here – so by researching and vetting the businesses that meet with your goals, by already talking to sellers via conference call – you can efficiently see the two or three businesses you are already serious about buying when you come for a visit. Set yourself up for business buying success by starting your search before you buy your tickets to Florida! Are you a buyer who has tried to see a business last-minute and would like to know more about why this isn’t possible? Are you curious about the business ownership opportunities available in Florida? Ask us! Leave any questions or comments here, and we would be happy to help you on your journey to business ownership. Here’s one we see all the time. We get a call or an email from a buyer who wants to sign 15 NDA’s on 15 different types of businesses so they can see where each is located and then decide which ones they like. First of all, any business broker worth their salt is not going to disclose that many listings to a buyer all at once. Why? A buyer looking at 15 different types of business hasn’t narrowed their search, so disclosing all of those businesses puts the confidentiality of those businesses at risk unnecessarily. It is also a colossal waste of both the buyer’s and broker’s time to fill out all of that paperwork for nothing. You might enter the business marketplace with only a vague idea of the kind of business you want, but you really need to narrow the focus of your search right away if you want to have any kind of success with finding businesses that will actually help you achieve your goals. There are hundreds of potential listings out there, and it can be easy to get overwhelmed by the choices. How do you narrow your search? Talk to a business broker first. We will ask you about your goals for business ownership. What do you hope entrepreneurship will bring to your life? The freedom to make your own schedule? More money than you make at your current job? More time to spend with your family? The ability to grow a business to sell a few years later? These goals will be very helpful in eliminating businesses that don’t fit the bill. We will ask you about your prior knowledge and experience. What industries have you worked in? What did you go to school for? Taking over a new business is hard enough, you probably don’t want to add learning a whole new industry to the mix at the same time. We will ask you about your financial situation. How much do you have to invest? Are you looking for financing? Knowing from the very beginning exactly how much you have to work with will be instrumental to ensuring you end up with a business you can afford. After having this type of discussion with your business broker, you can focus on businesses that will fit all of your needs and not waste any of your time looking at businesses that don’t. 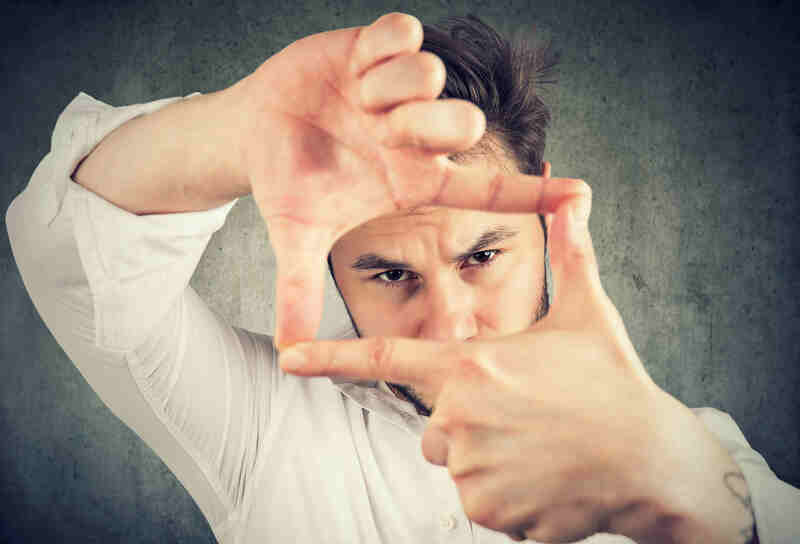 Narrowing your focus early also helps you keep from feeling like your search never ends. Are you starting your business search and need help with narrowing your focus? Are you curious about what businesses are available in your area? Do a cursory business search by clicking here or leave us any questions or comments below. Buying a business is a huge and sometimes overwhelming project, one that can oftentimes be better handled with a business partner to share the load. A good partnership means sharing the responsibilities, costs and schedule that buying and owning a business demands. Good business partners both bring their own unique and complementary skills to the table – allowing the partnership to help the business grow. A good business partnership also has one all-important thing. A break-up contract. Similar in nature to a prenuptial agreement before a wedding, a “break-up” or partnership contract is an iron-clad and very detailed contract business partners sign that clearly states – in writing – the what and how if one of the partners decides to (or needs to) leave the business. I’m buying a business with my best friend of 20 years, we don’t need a break-up contract. Yes, you 100% do. Business partnerships fall apart every day, and sometimes it isn’t even because the relationship between the partners has soured. What if your best friend of 20 years gets divorced and his now ex-wife wants the business sold so she can have back the money they invested as a married couple when you first bought it? What if you have to leave to take care of a sick parent overseas and won’t be able to contribute to the business anymore? Having a predetermined plan in place makes the split easy at a time when life probably isn’t. My business partner is going to think I don’t trust them if I ask to put together a contract like this. First, if your business partner is making a judgement like this – they aren’t keeping their personal feelings out of what should be a purely business decision. Second, if you are worried that you might offend your partner – open the discussion by saying you both need to have a plan in place so the business can survive if something happens to one of you. This seems like an unnecessary step. 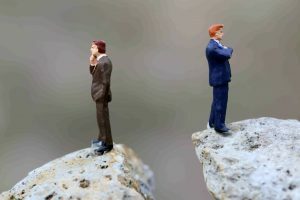 Even if your business partnership ends amicably down the road, not having a contract in place can mean massive legal bills for both of you when it does happen. This is especially true if the split comes because of something like a divorce. You need to spend the small amount of effort and money now to protect both of you and the future of the business. The message here is every business partnership will eventually end. That end can be a painful and expensive nightmare, or you can plan ahead and put together a business partnership contract that lays out what happens instead. Are you thinking about buying a business with a partner, but hadn’t considered a “break-up” contract? Do you have questions about what a contract like this might look like? Please feel free to leave any comments or questions here. Everyone is an expert, right? We all have that person in our life who talks confidently about every subject while knowing little to nothing about the things they speak of. They string together urban legend, conjecture and memes from the internet into what sounds like a coherent piece of genuine information when, in fact, it is nothing of the sort. If you are thinking about buying a business and you’ve told the people in your life about this new pursuit, then these fact-free advice givers will come out of the woodwork. Everyone, at one time or another has considered what life would be like as a business owner – and as such almost everyone feels qualified to offer their entrepreneurial advice. You will get unsolicited advice from seemingly everyone: your brother-in-law, the mailman, your dentist, your neighbors. While everyone’s intentions are good – to help you – the information you are given should be taken cautiously. Even the opinions of those you trust, like a very close friend, should be taken within the context of whether or not they actually know anything about buying or running a business. Take, for example, the rent payments on a waterfront restaurant. If you are considering buying a large waterfront restaurant, especially one in a desirable location, then you should expect the rent to be high. That high rent, however, when compared to comparable businesses in the same area will probably be right in line with what you should expect to pay. Also, a desirable location means more customers in the door – meaning you will be perfectly capable of paying that high rent so long as you don’t run the business into the ground. What unfortunately happens to many new buyers is they mention this high rent rate to someone who knows little to nothing about either the restaurant industry or the area in question and they balk at the number, exclaiming “That’s ridiculous!!! Don’t buy that business!” when the opposite is true. It’s a great business and falls right in line with both the buyer’s budget and their goals for business ownership. There are many, many examples of instances where bad advice has driven a buyer from a perfectly good business – particularly when discussing matters of price. We’re not telling you that you shouldn’t listen to the opinions of those you trust, we’re just saying that you should consider their expertise in the matter before you take their advice as doctrine. Who should you listen to? Your business broker is a good source of information because they eat, sleep and breathe business transactions and a good broker will know their local industry inside and out. Your business broker is also a reliable source of information because it is in their best interest if you succeed in your new business. You may refer them the business owners or business buyers you meet if you are happy in your business decision, and when the time comes to sell they hope you will use them again. A great business broker gets a great deal if their business from referrals and repeat clients. You should also listen to the advice of your business transaction attorney and your business transaction CPA (if you end up using one) as they too know the industry well. Notice we said “business transaction” attorney and CPA, not any attorney or CPA. Your friend who practices labor law and your uncle who does accounting for a rental car company aren’t going to be able to give you good advice about buying a restaurant because that’s not what they do. It would be similar to asking your car mechanic his advice about whether or not you should undergo back surgery – it’s not his area of expertise. The most important person you should listen to? Your own common sense. Take the information you gather from all of your sources, weigh the validity of their opinions based on their real expertise in the matter – and then decide for yourself. You are the one buying the business, not the peanut gallery, so if the decision makes sense to you then that’s all that really counts. Are you looking at businesses to buy and getting all kinds of advice at the same time? Do you have questions about some of the advice you’ve already been given? Please feel free to leave your questions and comments here, and we will be happy to help. You’ve made the decision – you’re going to bite the bullet, buy a business and move to Florida. You buy plane tickets and head down, ready to drive around and scope out the local small business scene. When you get to town, you try calling brokers to have someone drive you around to see what’s for sale – but you aren’t having any luck. No one is answering or returning your calls, and those that do tell you there’s no way you can see any businesses right now. What gives? You’ve got money to spend – why won’t anyone help you? Buying a business is a very complicated process that contains a multitude of moving parts, and as such the business buying process is nothing like buying anything else. When you buy a house or a car the process involves driving around and taking a look, but houses and cars are physical things. A business is different because a business has customers, has employees, has contracts, has leases, requires licenses and permits, has vendors. When you buy a business you aren’t buying a thing, you are buying cash flow. Since you aren’t buying a physical thing, the process is more complicated. For starters, business sales are confidential. Confidentiality is important because there is a very powerful misconception that a business for sale is a business on the brink of failure. Think about it. The last time you saw a “For Sale” sign in the window of a business your immediate thought was that the business was in trouble, right? Why would anyone sell a perfectly good business? Great businesses, profitable businesses are sold every day. Business owners sell for a myriad of reasons. Retirement, a desire to change industries, personal reasons, because a financial milestone has been reached. Sure, there are businesses for sale because the owner is in trouble and the business is faltering – but those businesses are fairly rare and can be a great opportunity for growth. The fact that a business is for sale says nothing about the financial health of that business, but the misconception that exists can cause catastrophic damage to an existing business if the for-sale status is disclosed to the wrong people – like if the staff finds out the business is for sale and quits en masse. The need for confidentiality means you will have to sign a non-disclosure form for each and every business you want to see, and you will most likely need to see the physical location before or after hours when the staff isn’t there. In addition to the required paperwork and the need to avoid a staff, physical visits to a business require aligning the schedules of the buyer, the seller, the buyer’s broker and the seller’s broker. This type of schedule wrangling takes time, so showing up in Florida and demanding to see businesses isn’t going to work. What should you do instead? Plan ahead. Before you get on a plane, call and have a conversation with an experienced and qualified business broker. They can help you find businesses that fit with your goals and your financial means, then you can narrow your field to just a few choices. Your broker can set up conference calls, meetings and site visits long before you land so you can see the businesses you want in a way that works with everyone’s schedule. 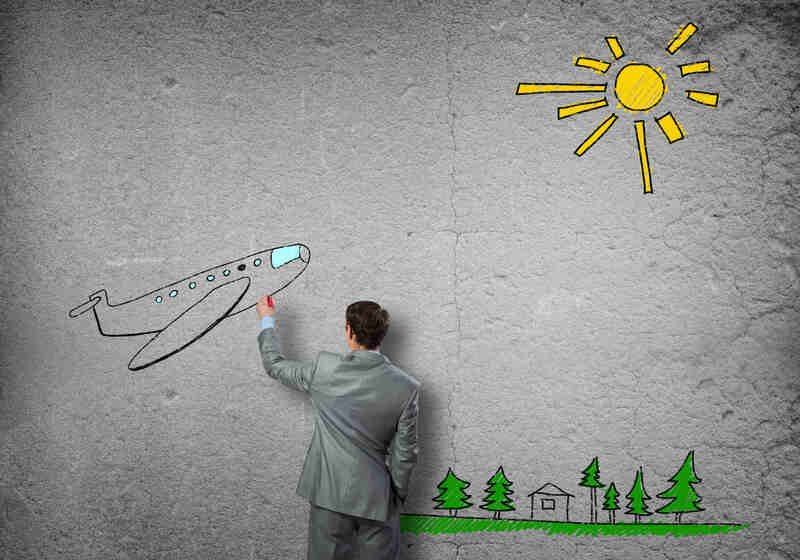 Don’t hop on a plane cold – plan ahead and you will be set up for business buying success. Are you thinking about buying a business and want to know more about why confidentiality is important? Would you like to know what businesses are currently available that might work for you? Please leave any questions or comments and we would be happy to help.